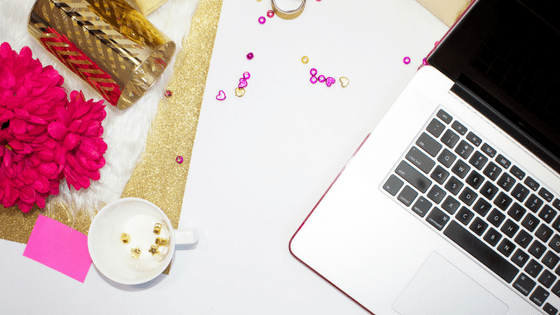 Are you using Divi for your blog? If not, you're missing out. Divi is incredibly customizable, even if you don't know code, and comes with a huge community. 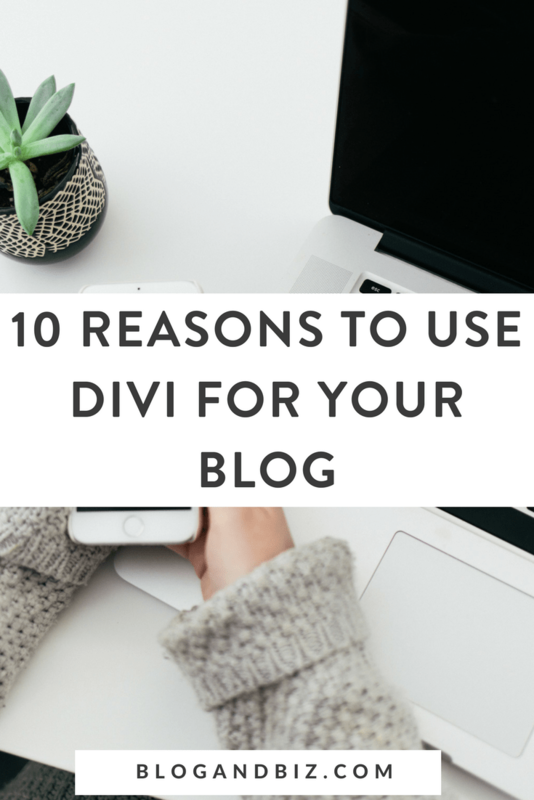 These are my 10 reasons to use Divi for your blog. There's a lot of good things to say about Divi, but the number one thing is its ability to give you a completely custom site. With Divi you can start with a blank slate and design your site from the ground up (without knowing code). I searched high and low for a theme that had everything I wanted, and it wasn't to be found. That's why I switched to Divi. I was able to create my site exactly the way I wanted it. And I haven't looked back. You can use Divi and get an awesome looking website without knowing any code. If you want to go code-free, you can. But there are some amazing things that you can accomplish with some CSS. Luckily, Divi is so popular that there are tons of websites (including the Elegant Themes blog) where you can just copy-paste code. You can accomplish a lot just by using the free code provided by others, and you don't have to learn CSS yourself. If you don't want to start from a blank slate (and I don't blame you), there are tons of child themes available for Divi. My favorite site for child themes is Superfly. Their themes have tons of awesome customizations. Another great thing about Divi is the abundance of layout packs, both from Elegant Themes and third parties. a layout pack is like a theme, but it doesn't customize your whole site, just one page. Elegant Themes releases new layout packs all the time, and you can also get free and paid ones from lots of Divi websites. If you're unsure of where to get started, layout packs can be a great option to get your creative juices flowing. One of the great things about Divi is the Elegant Themes blog. It's updated all the time, and it contains tons and tons of Divi tips, layout pack, customization tips, and examples of great Divi sites. 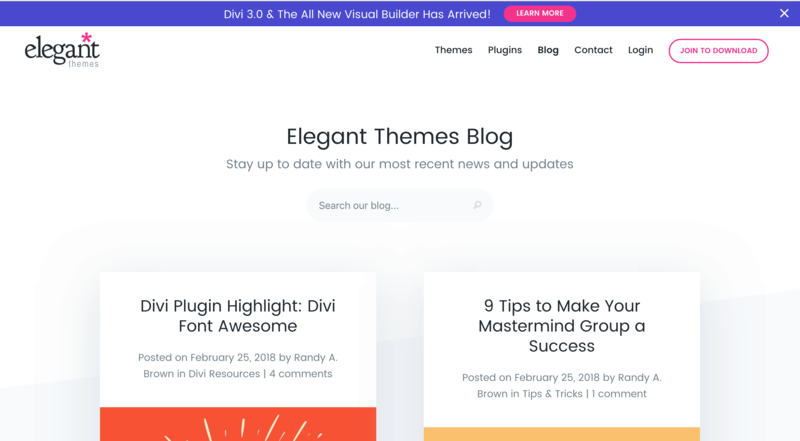 If you want to do something with Divi, the Elegant Themes blog is the first place to look. If you have a non-page builder theme, you probably won't be able to build landing pages with it. If you want landing pages, you'll need another service, like Leadpages. Don't get me wrong, I love Leadpages, but for an ultra-customized landing page, I love Divi. 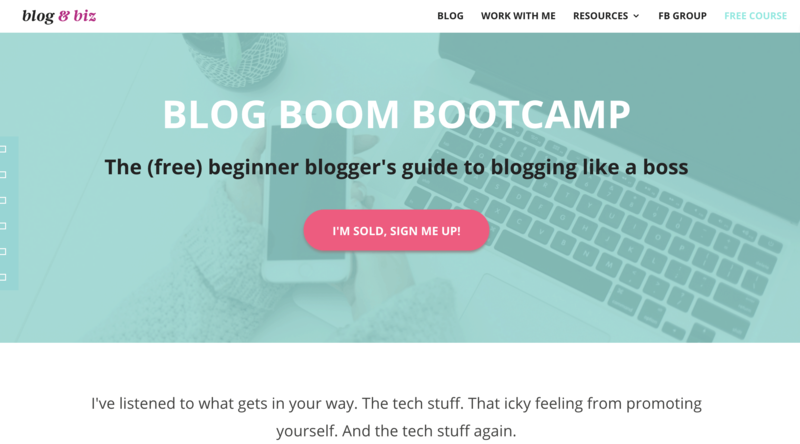 Check out my landing page for my free email course, Blog Boom Bootcamp. It's easy and I got a totally custom look. When you purchase Divi, you also get access to the Monarch plugin. 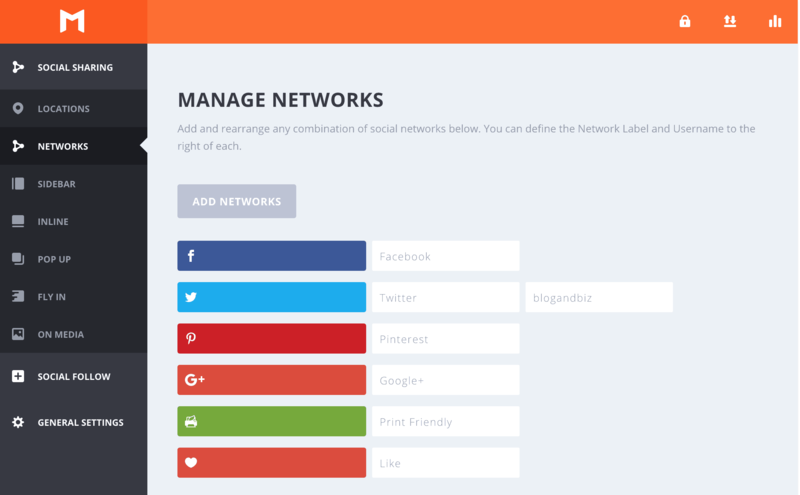 Monarch provides you with customizable social share and social follow buttons. The Monarch buttons look great. They have cool animations, and you can customize them to meet your brand colors. 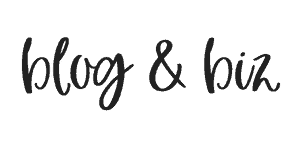 I use them in the footer of my blog and on the lefthand side of the screen. It's always important to have social share and follow buttons on your blog so that people can easily share your content and follow you on social media. Monarch is great for this. Another perk when you purchase Divi is the Bloom plugin. Bloom is an opt-in plugin and it provides a lot of customizable options for opt-ins. Bloom integrates with a lot of email providers, and its simple look and feel makes for great opt-ins. Some themes aren't great with responsive design (meaning how your site shows up on mobile). Mobile users are growing every day, so it's crucial that your site look good on an iPhone. Divi gives you easy responsive design. So that's what I'm loving about Divi. How about you? Are you using Divi? Loving it? Let me know in the comments! Great post! I will be using your pointers to get my blog moving forward this week!